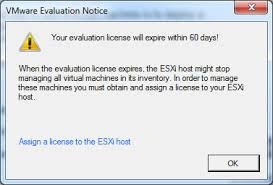 Today my lab evalaution license was end with 0 days remaining; I found good way to reset your VMware licence evaluation mode back to 60 days so you can use it for more 60 days & reset again after 60 days. now there is no need to format / reinstall your ESXi & vCenter to reset your licence. Note: I will not suggest this to use in your production environment but you can use it for your lab.